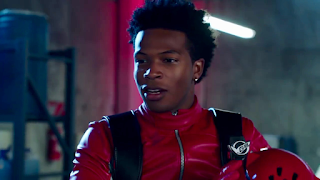 Power Rangers Beast Morphers released its second episode where the weak points of the Beast Morpher rangers were shown. 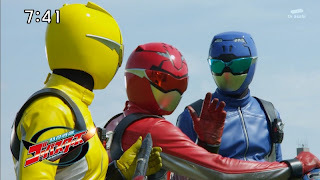 Now I'd like to do a bit of throwback to the Go-Busters' weak points as a response. So what's the big deal with weak points? They did get civilian superpowers as a result of altered DNA (the first one had it way back in 1986 with Choshinsei Flashman) from many years ago. 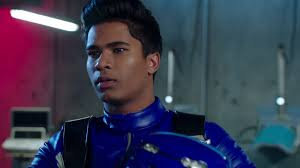 On the other hand, the Beast Morphers team had them only in the first episode as part of an experiment to create newer Power Rangers. 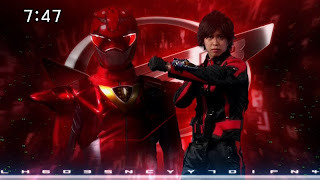 Hiromu's civilian superpower his his super speed and agility. WHat causes him to break down is his psychological fear of chickens. It wasn't explained why it happened until Go-Busters revealed it was a childhood trauma. He was brutally attacked by chickens as a child causing that phobia. I wonder is the freezing also a result of the DNA alteration or not? I guess the fact that his muscles tend to move faster than usual means they come to a sudden stop. His fear of chickens may be like running a car so fast then stepping the break all of a sudden -- in short it's very disastrous whenever that happens! I just find the whole idea that suddenly Devon gets scared of dogs because of cheetah DNA to be WTF. I could understand that if it were cat DNA but a cheetah would totally own a dog. So why was that made his weakness? It just feels like oh-so weird and oh-so wrong in many levels. They could have thought of yet another limitation than him getting scared by a dog. 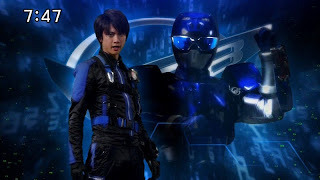 Also, there's the obvious edited Go-Busters footage during the first mecha fight. Original footage is a chicken. Ryuji tends to overheat when he overuses his super strength. Why that happens isn't very well-explained. My speculation is that it's similar to any high-powered machine that could overheat due to the amount of force required to move such heavy objects. When he's overheated -- he loses all control like how a machine loses its control when it's overheated, right? No explanation (yet) to why Ravi overheats like Ryuji. Both of them have super strength from gorilla DNA then they go berserk when overheated. So what's the reason behind the limitation? I just wonder will we get a good explanation for him overheating or not? Yoko has super jump and incredible kicking power like a rabbit yet it actually drains her energy fast. What's my assumption behind her weakness? It's probably not a result of her DNA altered. It's most likely a result of hypoglycemia -- a disorder that causes someone's blood sugar to be lower than usual. Symptoms of said disorder also include hunger, irritability, anxiety and the fact she easily get tired during missions. Her "inner battery" may be a result of her hypoglycemia than the 13 years ago incident that led to the Go-Busters' DNA getting altered. However, the show doesn't seem to specify it that she's got that disorder and it's just my speculation! The show doesn't really explain but I'd want to believe she suffers from low blood sugar levels. Zoey well her limit starts with her needing carrots to power up. It's all because of the rabbit DNA -- which may be in contrast to Yoko who may have hypoglycemia. She needs to eats carrots but this brings one concern -- wouldn't that store up in her liver sooner or later if she needed more carrots to power up? Can't she get power-upped by other vegetables aside from carrots? Carrots may be healthy but too much of them can cause a severe liver malfunction. Oh dear! Then again just expect these kinds of posts to be lesser or even gone without noice once Ryusoulger and Vagabond airs! Hehehehehe!